Other Products by EHP Labs. Search other Stress, Anxiety & Sleep products. 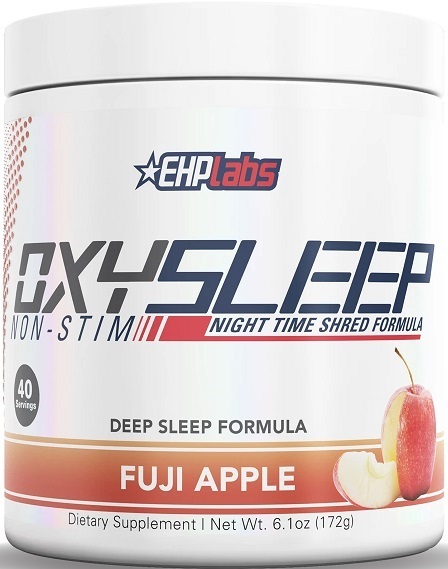 EHP Labs Oxy Sleep is designed to promote a deep sleep, and deliver a non-stimulant thermogenic booster to improve your fat burning - SLEEP & SHRED WITH OXYSLEEP! Not your standard thermogenic sleep formula Oxy Sleep is a comprehensive supplement with a positive effect on body composition. Firstly, EHP Labs OxySleep utilises a deep sleep activator matrix. Contained in this matrix is ZMA (zinc & magnesium), synonymus with muscle recovery and hormone production in the supplement industry. This deep sleep activator also contains 5-HTP, L-Phenylalanine, chamomile and valerian root. These ingredients assist with mood regulation while having a calming and relaxing action, creating the ideal environment for restful sleep. 5-HTP is a specialised form of an essential amino acid called tryptophan. 5-HTP passes into the brain where it is used for the synthesis of the mood-boosting serotonin. And guess what? At night-time, serotonin is converted into melotonin, a natural sleep and antioxidant molecule. Oxy Sleep has got more than your average bear, with natural serotonin and melatonin support for enhanced mood, sleep and night-time regeneration. The non-stimulant thermogenic booster provides a key group of ingredients that have been scientifically researched and shown to support fat loss. CLA or Conjugated Linoleic Acid has been shown to have a beneficial effect on body compostion by improving your fat to lean muscle ratio. Simply increasing your lean muscle mass has a positive effect on metabolic rate. African mango also has been shown in serveral studies to improve body composition by having a protective effect on a hormone responsible for fat breakdown in the body, an effect also initiated by raspberry ketones. Not ending there this powerful thermogenic matrix contains the highly regarded green tea which has a thermogenic action and boosts metabolism. Last but not least Oxy Sleep contains a GH (Growth Hormone) Release Catalyst called alpha HICA. HICA (alpha-hydroxyisocaproic acid) is a leucine metabolite which has shown to boost protein synthesis, thus having an anabolic, muscle-builiding effect. EHP Labs OxySleep is a well rounded supplement. We always get a solid customer oxysleep review and excellent feedback. 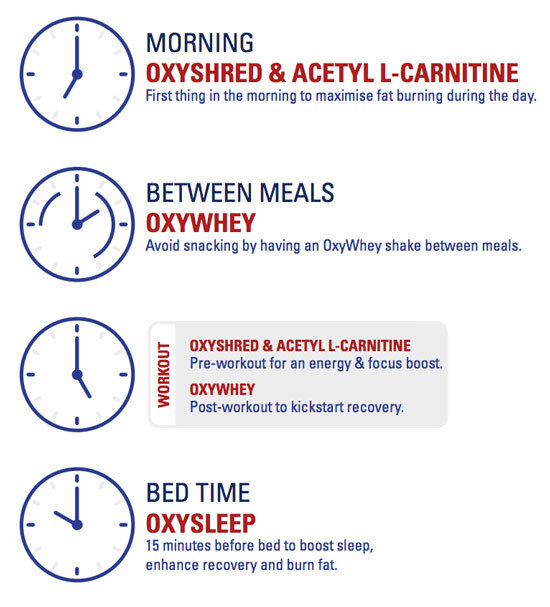 Sleep well, recover faster and burn body fat with OxySleep! 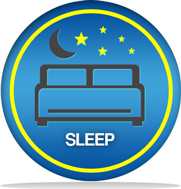 Mix 1 scoop of Oxysleep with 250ml of chilled water and consume 15 minutes prior to bedtime. Ensure you are ready to go to sleep after consuming Oxysleep as you may immediately begin to feel tired and sleepy. 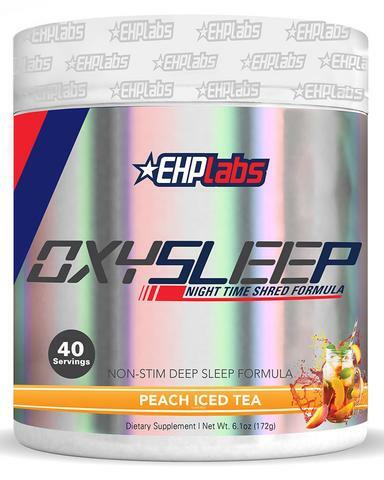 Do no operate machinery or drive a vehicle once you have consume EHP Labs Oxy Sleep. - Zinc/Magnesium Blend (Magnesium Oxide, Zinc Oxide, dl-methionine, Aspartic acid, pyridoxine hydrochloride), L-phenylalanine, 5-Hydroxytryptophan (5-HTP from Griffonia simplicifolia), Passionflower Aerial Parts, Lemon Balm Aerial Parts, Chamomile Flower, Valerian Root Extract. - L-theanine, Green Tea Leaf Extract, Conjugated Linoleic Acid, Raspberry Ketones, African Mango (Irvingia gabonensis) Seed Extract, Chromium Picolinate. Other ingredients: Natural Flavours, Disocium Phosphate, Sucralose, Silicon Dioxide, Calcium Silicate, Xanthan Gum, Red Lake #40, Yellow #5. Allergens: May contain traces of Milk & Soy. Produced on equipment that also processes peanuts, tree nuts, milk, soybean, egg, wheat, shellfish, fish.